harmful chemicals to your family. Since 1977 Chem-Dry has been dedicated to helping families live more healthfully. Choose Chem-Dry for a healthier carpet and upholstery cleaning and a safer, refreshed home that the whole family an enjoy. Our proprietary Hot Carbonated Extraction removes dirt, grime, and allergens from your carpet for a cleaner and more environmentally friendly home. This process uses 80% less water than conventional steam cleaning. Our professionally-trained technicians at Chem-Dry are dedicated to providing an outstanding cleaning experience and will treat your home and family with the respect you deserve. A house is not a home without a carpet and keeping your carpet clean can be a headache. Gone are the days where you had to avoid drinking a glass of wine in the living room after a long day at work. Gone are the days where you had to finish your cup of coffee in the kitchen. Gone are the days where you had to make sure the kids don’t take anything into the living room that may spill on the carpet. We said goodbye to all these things that added unnecessary stress to your life the day Chem-Dry Alberton was discovered. You can now have wonderful family moments in the comfort of your own home on a clean carpet. All you have to do is contact Chem-Dry Alberton and we will turn your carpet hassles into something of the past. Chem-Dry is not just a product that cleans carpets but it cleans carpets the natural and healthy way. Chem-Dry will not only keep your carpets cleaner, safer and healthier but it will also keep your tiles shinier than ever. Call Chem-Dry Alberton today; we know you want to because we know you only want the best for your family and your home. We love to add new customers to the family and we also like to see familiar faces; we make it our duty to clean all households properly and sufficiently. We clean your carpets, tiles and upholstery thoroughly the first time because then we know it will stay cleaner for longer, keeping you and your family happy. You don’t have to stress anymore when you hear your entire family is coming over to visit. You can now lay back and relax and leave everything up to us. We will take it from there and at the end there would be no sign that they were even there. This could be your stress free life but only if you contact Chem-Dry Alberton today. Would it not just be wonderful to walk into your house with your carpets and upholstery clean, your tiles sparkling like never before and your curtains looking clean and fresh? This could be your home, all you have to do is books an appointment. It sounds like a dream come true, and you are the only one that can turn it into a reality. Chem-Dry is by far your number one carpet cleaning company in the Alberton and Johannesburg Southern suburbs . So join the family today and also start cleaning your home the natural and healthy way. We truly look forward to hearing from you because we know you want what is best for your family and pets. We have one wonderful thing in common and that is putting your family first, so call Chem-Dry Alberton today and take one step closer to living a clean, healthy and stress free life. Carbonation makes dirt and grime release from the fibres of your carpet.This process allows us to use 80% less water than conventional steam cleaning. 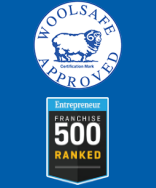 Chem-Dry is the world’s leading carpet and upholstery cleaner as ranked by Entrepreneur Magazine for 30 years in a row as #1 in the category. We use only the industry’s finest, most powerful equipment and proprietary cleaning solutions to ensure the best clean for your family. You can trust your local Chem-Dry owner/operator to deliver the same quality and value. 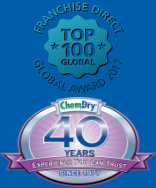 All Chem-Dry franchise partners are able to provide the Chem-Dry cleaning process and solutions, however, the equipment used to provide that service may vary from franchise to franchise. We use a 100% non-toxic carpet cleaning solution that is powerful yet safe for children and pets. This green cleaner is patented and is called The Natural® because it uses ingredients from mother nature. These natural ingredients combined with carbonating bubbles remove an amazing 98% of allergens from carpets and upholstery along with 89% of airborne bacteria improving the quality of the air we breathe. Want to avoid mould, and mildew with faster drying times? Our cleaning process leaves behind less moisture than steam cleaning and dries in 1-2 hours compared to 1-2 days. Our proprietary process combined with our non-toxic, green-certified solution means that we'll leave your home not only cleaner but safer and healthier, too. Additionally, we have special solutions for problem stains that traditional cleanings don’t work on, and eliminating problem stains and odors from pet urine is one of our specialties. 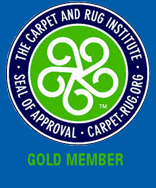 If you need your carpets, rugs, tile, or furniture cleaned, give us a call! We’ll be able to provide you a quote and set up an appointment over the phone. 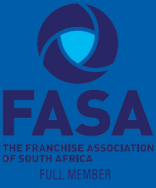 Franchises Are Independently Owned & Operated.